Lake Shore Gold (TSE:LSG) could not escape the carnage on world markets on Friday despite following up record production numbers with the announcement of below guidance operating costs. The Canadian miner announced fourth quarter total cash costs fell dramatically as throughput – up 60% – and grades ramped up at its Bell Creek Mill in Ontario. 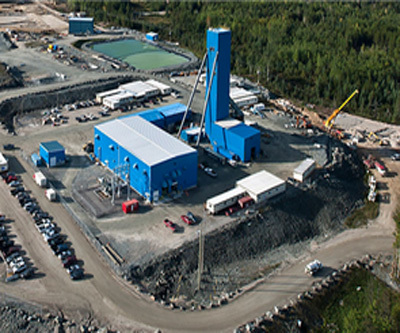 Earlier in January the company announced record production of 134,600 ounces of gold for 2013 from its Bell Creek and Timmins West mines. Lake Shore managed to shrink cash costs to $605 an ounce and all-in sustaining costs to $835 an ounce. Cash costs declined 16% quarter on quarter and 39% year on year. For the year, Lake Shore estimates total cash costs and all-in-sustaining costs averaged $770 per ounce – lower than the company's guided range of $800 to $875 per ounce – and $1,135 per ounce respectively. The Toronto-based company expects production is to grow to between 160,000 and 180,000 ounces this year.